NAILS' 10k-a-Day Walking Challenge: The Results Are In! On January 1 of this year, nail techs everywhere took on the NAILS’ 10k-a-Day walking challenge. Here’s a roundup of some of our participants’ results and how the challenge jumpstarted their new healthy lifestyles. When I saw that NAILS was doing a walking challenge, I thought it would be great motivation. I had already signed up for a diet bet that was for the duration of January, so I thought this would be a great addition. On average, I only walk about 3,000 steps a day, so making it to 10,000 was going to be a huge change. The month of January had its ups and downs, and after being sick the last week and a half of the month I knew I’d be far off from my goal of 310,000 steps. I ended up with a total of 216,393 steps for the month — just over two thirds of my total goal. At my final weigh-in, I stepped on the scale at 242.4 lbs. That’s a total loss of 12.8 lbs for the month! I didn’t always reach my 10,000-step goal but I kept moving in the right direction and it paid off. I am so thankful that NAILS helped me start 2016 off on the right foot. Anne VanSpronsen, Eve Salonspa, Portage, Mich. I began the #Nails10kaDay challenge early January, but I was not consistent. Close to the third week in January I decided to schedule my annual physical. I received my results just before takeoff to Las Vegas in celebration of my wedding anniversary. I learned that I am borderline diabetic with a high triglyceride level. Given my family history of diabetes that has touched my mother, father, aunts, and uncles on both sides, I knew this day would come. When I heard my doctor on the other end of the line telling me to get my act together to avoid medication, it was time to make a change. This trip was the perfect opportunity, providing the finest backdrop to get into shape! After a week of walking the streets of Las Vegas, exploring Hoover Dam, Grand Canyon, and Death Valley, I averaged 13K steps per day! My Fitbit was my best friend and held me accountable for my actions. The thrill to post my efforts on social media and receive that notification from @nailsmagazine rooting me on was priceless! The old Diane would have sat at the sidelines and said, “No, you go ahead, Honey.” But this time was different. I pushed my limits, far beyond what I set as a goal and what I expected from myself. NAILS’ 10k-a-Day came at a time when I needed that extra push. My passion for nails indirectly drove me to take better care of myself to avoid what I always joked about: “destined for diabetes.” Reality hit and it’s no joke. I’m a strong believer that things happen for a reason and this time, I have NAILS to thank! Prior to the 10k-a-day challenge, I had been using my Fitbit Zip and doing at least 5k each day. I find that it is much easier to get more steps in during the months when the weather is nicer. Thankfully, this year has been unseasonably warm in Ohio, so it has been easier to get in some outdoor exercise without fear of slipping or falling on the ice and snow. In order to increase my steps up to 10k, I chose to spend extra time training our Afghan hounds. We show them in AKC conformation and it takes many hours of dedication and hard work to make the “running around in the ring” appear effortless and coordinated. We recently added a seven-month-old puppy from Croatia (Stassi) to our family, so she was a very big part of my motivation. The challenge proved beneficial to us both as she improved during our training session. She, along with our other dogs, enjoyed the walks and runs. For the most part, meeting the additional required steps was not too difficult. Of course, some days were more challenging than others. Cold and dreary days were the worst but I was determined to meet the goal, which included walking laps indoors on those days. Over the course of the month, I lost seven pounds. This alone is certainly motivational for continuing to make positive lifestyle changes. I also felt better both physically and mentally. Walking is a great stress reliever and it’s always beneficial just to get out and appreciate the beauty in nature. Losing weight was on my New Year’s resolution list, and NAILS gave me a fun head-start with the 10k-a-Day challenge. I love to feel in the company of people in the industry through this journey. 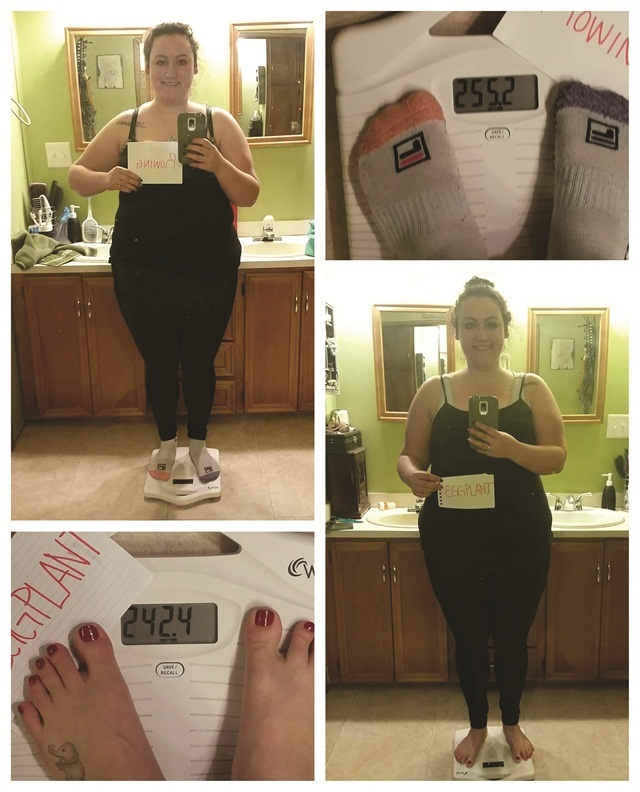 I know I have a long way to go but I want to become a healthy woman for me and for my family. I was never able to complete the 10k steps every day but I am happy because I tried. I decided to lose weight this year and I am ready to start a six-week 20-pound weight loss challenge in a gym close to my house. The best of me is yet to come! Bella Martinelli, Bella Nail Glam, Costa Mesa, Calif. The 10k challenge is over and I want to thank NAILS for your support. Even though the challenge is over, I will continue counting my steps the rest of 2016. I feel so much better than I did at the beginning of the challenge. You have helped me realize how important it is to keep moving for our health! I am one those people who never make a New Year’s resolution. When I read the NAILS Magazine post about the 10K-a-Day, I knew I wanted to do it for my health. I was shocked to find out from your article that people in our profession have a higher risk of having a heart attack or getting cancer! My grandmother died of a heart attack at the age of 48, so a healthy heart is important to me. Wearing a pedometer has made me aware of the lack of moving I do while I am at work. Since the challenge started, I find myself walking up and down the hall if I have 10 minutes before my next client arrives. When I am home I jog in place while brushing my teeth or while waiting for the morning coffee to brew. My hubby finds this very amusing! NAILS Magazine has helped me realize a very important life lesson and I am truly thankful. Here is a picture of me at the end of the challenge. The heart represents a “healthy heart” and my love for NAILS Magazine! Vickie Meador, European Body Wraps, Olive Branch, Miss. I was pretty good about running in the early morning a few days a week, until things got busy here at NAILS. The 10,000-step challenge came at a really good time because I was looking for ways to stay active in intervals throughout the day. My body was beginning to feel stiff and sore. I averaged 8,066 steps per day for the month of January. I feel pretty good about that number, as there were many days during the week when I barely moved from my office. The last day of January was my coup de grace, during which I clocked 13,796 steps! That’s what working a tradeshow like ISSE will do for you. My favorite day, though, was shopping at the Rose Bowl Flea Market in Pasadena. There are so many things to see, you don’t even notice the workout. It seems so simple, but just walking at lunch made all the difference. Returning phone calls, listening to Pandora, or just thinking while I walked the ¼ mile or so around the block where our office is, was a real treat to look forward to every day. I’ve also been set free from the mindset that I have to find a parking spot right next to the place I’m visiting. The farther the better! I participated in the 10k-a-Day challenge to give myself a little boost, and that’s exactly what I needed. I started walking every night and every morning before work. I felt more alert, had more energy, and just felt better all the way around. Even though January is over, I’m still going strong!